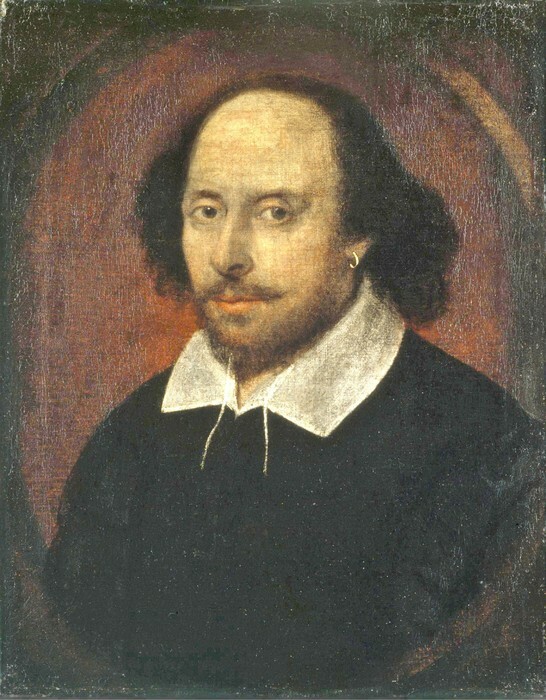 Shakespeare was born on April 23, 1564 to parents John Shakespeare and Mary Arden. Shakespeare attended junior school and The King's New School until the age of fourteen or fifteen. At age eighteen, he married Anne Hathaway and had three children. After the plague broke out in London, Shakespeare began to focus on poetry and became a founding member, actor, playwright, and shareholder of The Kings Men (an acting company). After major success, Shakespeare bought one of the largest properties in Stratford, England. He died on April 23, 1616 with substantial wealth and was buried in the Holy Trinity Church. 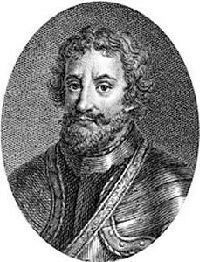 King Duncan - The respectable King of Scotland whom Macbeth, in his great ambition for the crown, murders. Lady Macbeth - Macbeth’s wife, a deeply ambitious woman who has a strong desire for power. The Three Witches - Three witches who plot mischief against Macbeth using charms, spells, and prophecies. Banquo - A noble general whose children, according to the Three Witches’ prophecy, will inherit the Scottish throne. Old English contains letters that do not appear in the modern English alphabet. Select vowels contain accents that are not used in Middle or Modern English. Old English is virtually unrecognizable to the Modern English speaker and reader. The Middle English passage is much more understandable but the spelling does not seem to be formalized. Vowels seem to be placed in areas that make the word hard to pronounce. Modern English used in the Shakespearian era is similar to contemporary Modern English but has a more formal sounding vocabulary, using words such as "thou" , "thy", and "hath". Things to remember when reading and understanding Shakespeare's language use. 1. This is very difficult. 2. Very difficult this is. 3. Is this very difficult? 4. Very difficult is this. Soliloquy- an act of speaking one's thoughts aloud when by oneself or regardless of any hearers, especially by a character in a play. Ex. “O Romeo, Romeo! Wherefore art thou Romeo? Ex. As I stepped outside, dark ominous clouds enshrouded the sun. Paradox- A seemingly absurd contradicting statement that is valid or true. Dramatic Irony- irony that is inherent in speeches or a situation of a drama and is understood by the audience but not grasped by the characters. Ex. In a horror movie, the character usually walks into a house and the audience knows the killer is inside. Pun- A pun is a play on words in which a humorous effect is produced by using a word that suggests two or more meanings or by exploiting similar sounding words having different meanings. Ex. A horse is a very stable animal. Alliteration- the occurrence of the same letter or sound at the beginning of adjacent or closely connected words. Ex. The seven sisters slept soundly. 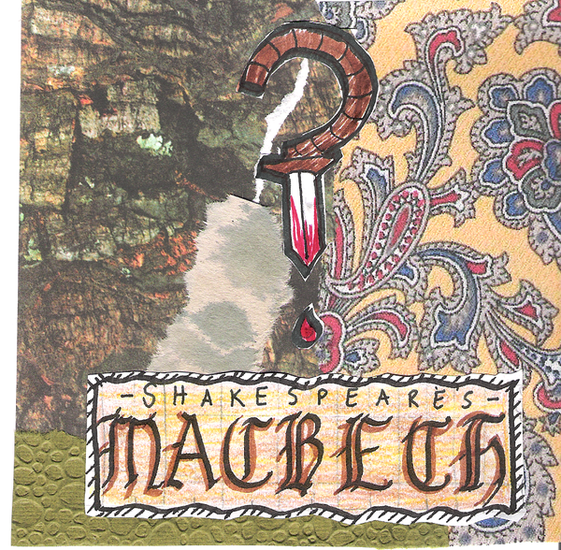 Why does Macbeth still appeal to us today? Macbeth is still popular today because it themes still concern our society and is quite similar to the problems that exist in today's culture. Tragic stories can trigger emotions that connect feelings or reactions from a character to help overcome inner conflicts. BY bringing attention to the positive aspects of their lives, many tragic stories lead readers to reflect on themselves. Tragedies appeal to more people because they aid the reader into appreciating their own relationships more and an result in increased happiness.